Craft beer continues to grow in popularity, so much so that travelers will seek out a local brew while visiting new destinations. Downtown Mesa is home to some fantastic micro-breweries, each with their own unique tastes and environment. Make a stop and quench your thirst at these breweries when you Visit Mesa! You have to make a stop at Beer Research Institute not only for their delicious brews, but also to check out the unique names they’ve been given. I mean, who doesn’t want to ask their waiter for a Top Secret Battle Monkey, Mjango Unchained, or Fire Squirrel? This Mesa brewery was formed after years of home brewing ‘beer research’ and has now turned into a popular local gathering place. Located in Downtown Mesa, Desert Eagle Brewing Company was one of the city’s first owned and operated micro-breweries. IPA’s are all the rage these days, however you can find many more options on tap here. Enjoy a Dunkel, Wheat, Porter, and more while listening to live music or partaking in their open mic nights. Even if you&apos;re not near Main Street, you can enjoy Desert Eagle at their East Mesa location near Falcon Field. Main Street is also home to Oro Brewing Company. 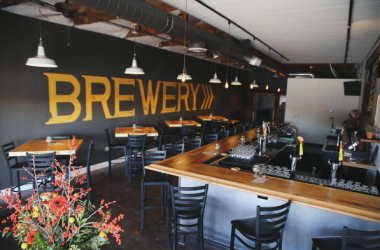 Their taproom and brewhouse are separated by a large glass door and window providing you with a peek at the brewing process right from your table. Stop by for a refreshing pint whenever you&apos;re exploring Downtown Mesa! New kids on the block, Cider Corps, recently opened in Downtown Mesa. 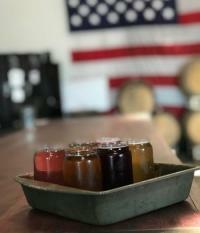 It&apos;s the first cidery in Arizona, offering a unique menu of cider flavors that changes every season. You&apos;ll love the easy-going atmosphere and want to learn more about the heartwarming story behind this business. Don&apos;t miss out on their Taco Tuesday and Sunday Brunch Specials - brunch lovers will enjoy their famous Cidermosas! Okay, so it technically isn&apos;t a "brewery", but we can&apos;t forget about the Cellar Pub is located inside of Sun Devil Liquors in Downtown Mesa. The Cellar is actually a fine wine cellar and offers guests the chance to imbibe in any type of liquor, wine or beer, that the store sells. There are also weekly beer and wine tastings available! Sun Devil Liquors carries most of the brews offered by local Mesa breweries. What better way to drink responsibly than to join fellow beer lovers on an adventure with Arizona Brewery Tours? Your knowledgeable and experienced Beer Guide will take you to the local breweries for flights, food, and a behind-the-scenes look at the brewing process. Whether you are on vacation, at a conference, or a long-time resident with a craving to experience new beer, Arizona Brewery Tours is a great way to discover the local craft-brew scene. Tours can even be customized to celebrate birthdays, bachelor or bachellorette parties, and more. If you find yourself sipping on a cold one in Mesa, be sure to tag us #VisitMesa on your social posts. Cheers!